There is a new army in the world –an army that fights like no other. An army with no nationality, no code of conduct, no rules of engagement, yet it is an army that has every superpower on the run. It is the army of the ISIS and it is upon us. 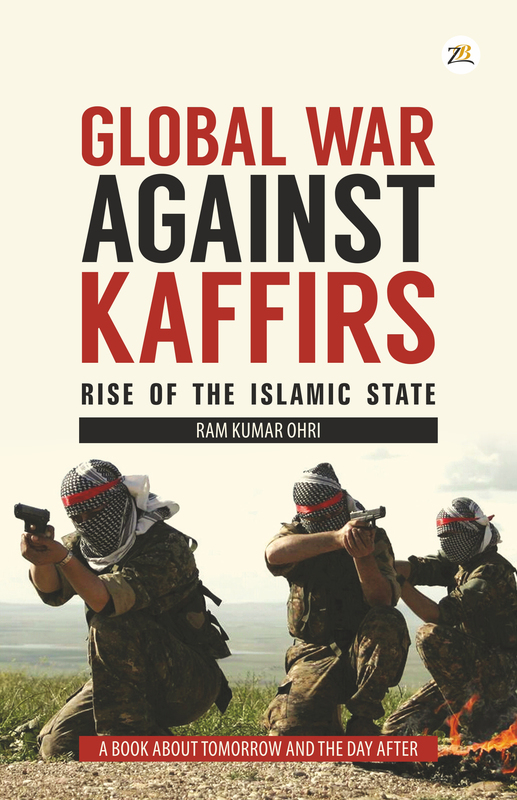 Global War Against Kaffirs: Rise of the Islamic State – takes us into the chilling world of ISIS, tracing its ideology, its bloody history, its bid for world dominion and shows us why we must be afraid. The book chronicles how the tentacles of ISIS have spread from Middle East to Africa, South East Asia even to remote islands in the Philippines. We read about the ISIS’ doctrine adopted from Abu Bakr’s tome “The Management of Savagery” which endorses creating ‘no go zones” in all major cities where law enforcement officers cannot penetrate (think Molenbeek) and the need to inspire cadres with awesome spectacles of terror.Ex- IPS officer Ram Ohri combines headlines from all over the world, news reports, interviews, historical evidence and special intelligence to present this dramatic and contemporary overview of this ruthless and most radical menace in Islam’s unending war against non-believers. Ram Kumar Ohri is a retired IPS officer and former Inspector General of Police, Arunachal Pradesh. His experience as Deputy Director (Operations) in the C.R.P.F., as IGP, Chandigarh (during years of Khalistani militancy) and subsequent posting in Arunachal Pradesh provided him with a deep insight into the problems of insurgency in North-eastern States. In recognition of his professional accomplishments and varied experience, he was decorated with the Police Medal for Meritorious Services and the President’s Medal for Distinguished Service.